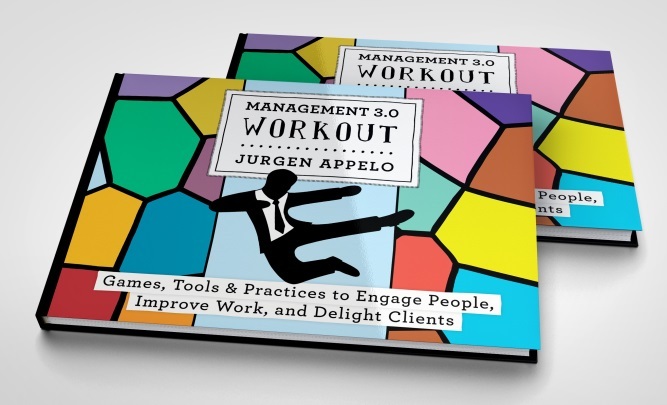 The original title of my new book was Management 3.0 Workout. It was the result of a long and challenging process in which I learned that readers of my newsletter liked the Management 3.0 brand and also the workout metaphor that I used in many of my articles and chapters. So, why did I change it to #Workout for the Amazon Kindle edition? – Ehm, no. You’re looking at my first book on Amazon, which is from 2011. That one is black/green. The new book is the one with the colorful cover. – Actually, my first book is called Management 3.0. My new book is Management 3.0 Workout. It is now unclear to me which one you’re reading. For a book on Amazon Kindle (and printed books), you can only pick a book title once! (Well, not really. But changing it afterwards is painful.) I was not looking forward to years of confusion, explaining to people that they are two different books! I thought it was all clear enough. But apparently not. So… I removed the Management 3.0 part of the title. The brand name is still used throughout the book, and Amazon lists the book as the third book in the “Management 3.0 series”. Hopefully, that solves the problem. Two additional arguments for changing the title are that the brand name has little meaning for new readers who don’t know my earlier work, and that one-word titles are fashionable these days. Oh, and I added a hashtag. Register Now for the Management 3.0 Workout Book Tour Workshop! Write a Tagline - Win a Book!